The Bereavement Care Liaison Project. 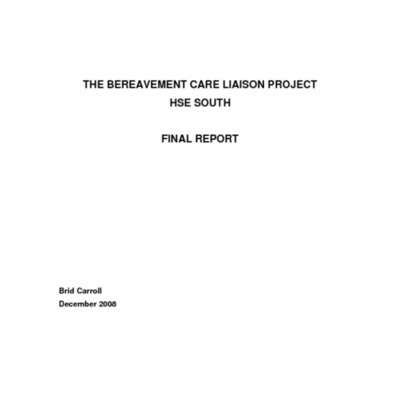 A final report concerning the success and effect of the Bereavement Care Liaison Project. Poster on Bereavement Care Liaison Project. 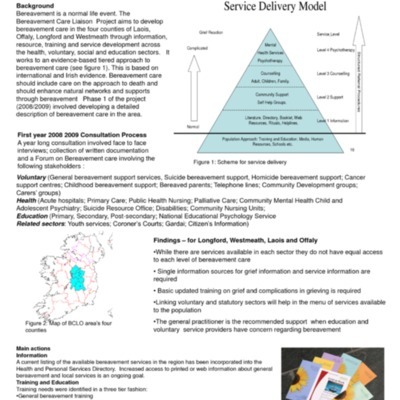 A poster providing information relating to the Bereavement Care Liaison Project. 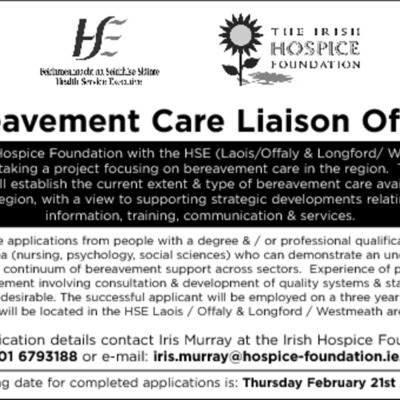 Advertisement for post of Bereavement Care Liaison Project Officer. 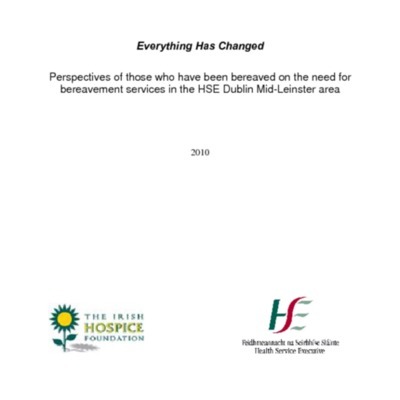 Call for application for the post of Bereavement Care Liaison Officer to work, providing information relating to the Bereavement Care Liaison Project and the desired characteristics for such a role. Summary of Year One Report, Vision Statement and Action Plan"
Maria Costello on behalf of the Project Advisory Group. 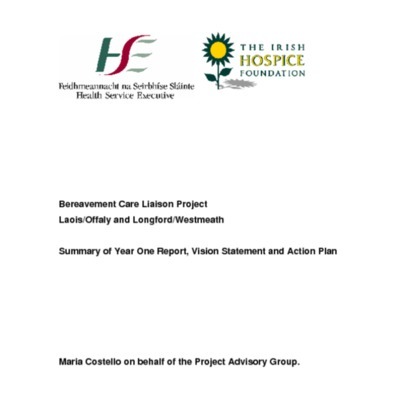 A summary report of the first year of the Bereavement Care Liaison Project, undertaken by Maria Costello on behalf of the Project Advisory Group.